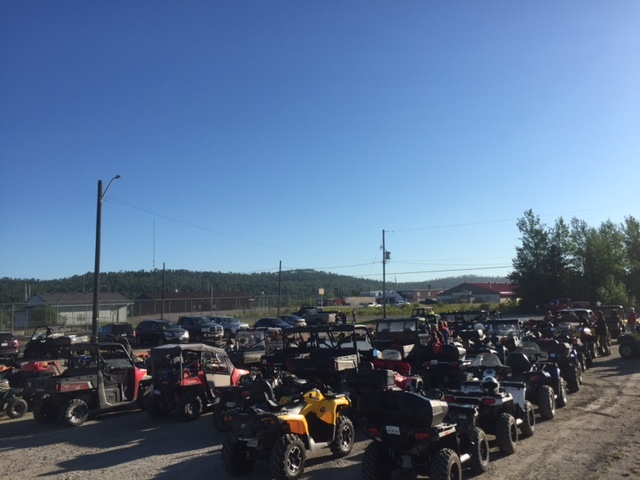 Cheers to another successful 2018 ATV Jamboree! 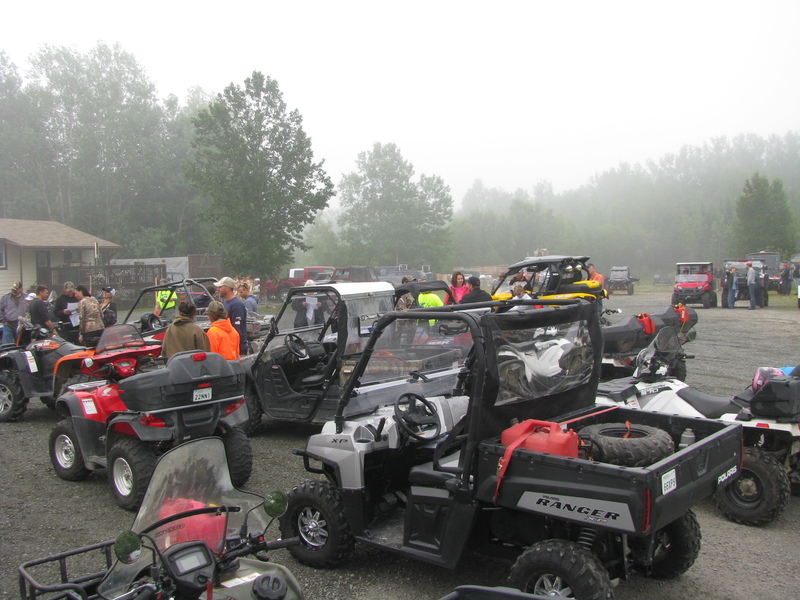 Thanks to all the supporters, participants & volunteers for supporting this years event. Cost of the ATV Jamboree this year will be $110.00 which includes your lunch, dinner, banquet and poker hand where if your lucky you could win 1st Place: $3000.00 2nd Place $2000.00 3rd Place $1000.00. Remember last year our registration started May 1st and we were full within two weeks. Don’t forget you are playing in the extreme so get ready for some exciting runs. Friday night meet and greet at the Golf Course where you could have chance to win (1) Hole in One (2) Closest to the hole. 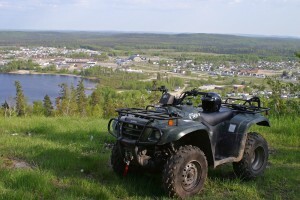 Manitouwadge is the place where you can “play in the extreme” and getting there is certainly part of the fun. To take the scenic drive into Manitouwadge, turn onto Highway 614 off Highway 17. Six kilometres into your tour you will see the popular “dragons” that sit on Dragon Pond. You never know what kind of wild life you will see on your drive. There are frequent reports of moose, bear, fox, wolf, rabbit, lynx, cougar, heron, cranes and even pterodactyls (but only if you look really closely). A few more kilometres through the rugged beauty of Northern forests and you’re in the town where “extreme fun” awaits you.